Galway Business School - Third level education in west of Ireland. Galway Business School is one of the leading independent third-level colleges in Ireland. We pride our-selves on our ability to respond quickly to the changing needs of students, industry and labour markets. We have a wide variety of both undergraduate and postgraduate programs to suit your academic needs that fit into your schedule, whatever it may be. We have a selection of both full and part-time programs. Galway Business School forges experiences that unrival any other college. We are more willing to adapt to the needs of our students and the ever-changing business world. 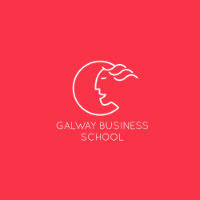 Founded in 2000, Galway Business School is located in Salthill. A contemporary building in a stunning location overlooking the Atlantic Ocean and Galway Bay. Our spacious campus provides students with high quality and technologically advanced teaching and learning facilities.